I woke up a 08.30am and the tour starts at 09.00am. Did my final packing and check-out. Met a new tour guide by the name Mr. Teo. 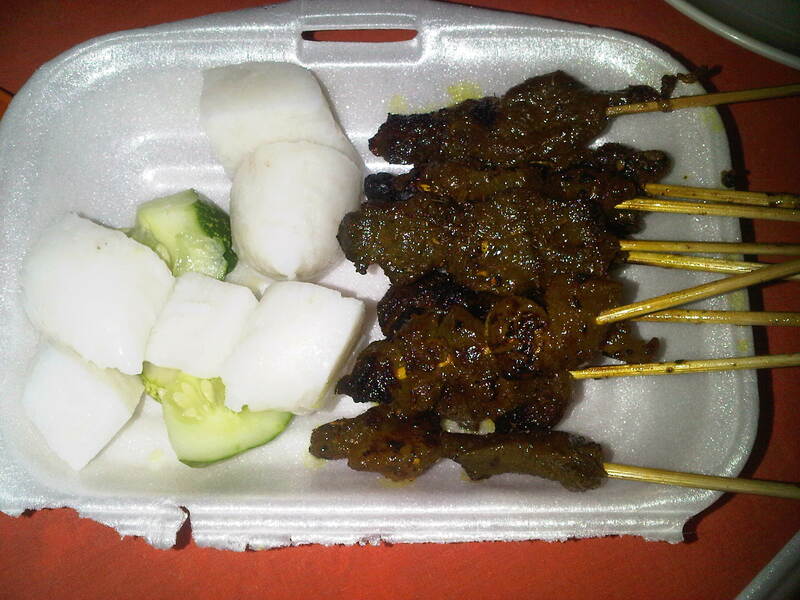 So, first thing first.. Makan.. Breakfast.. 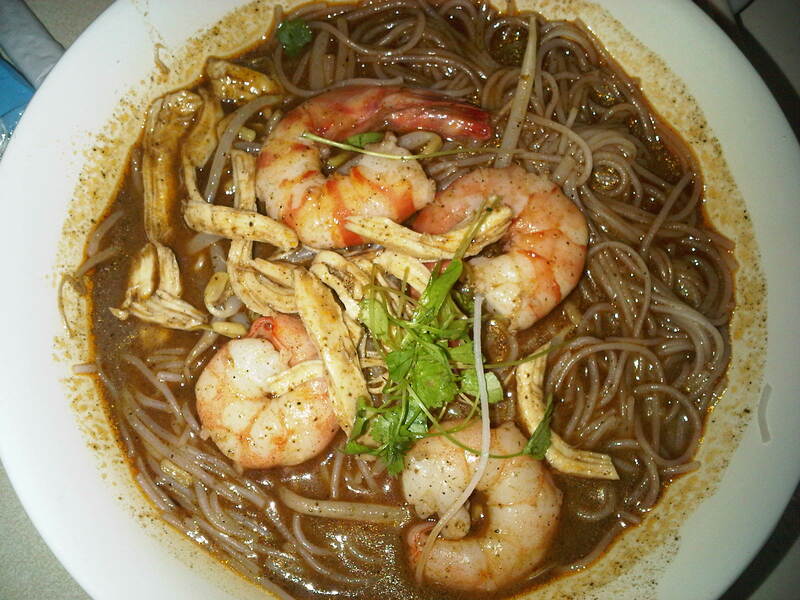 He took me to this place to eat Laksa.. And this is the best Laksa that I have tasted so far..
Did you see the prawns??!! 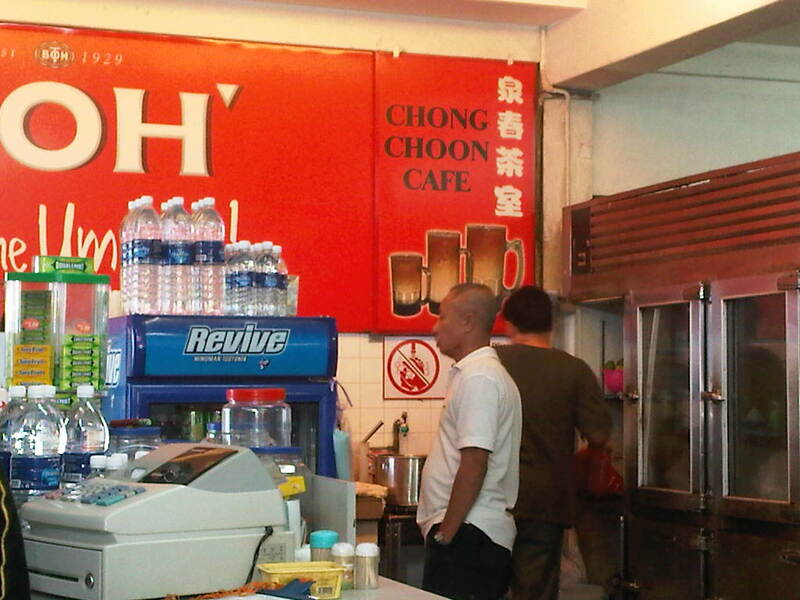 The name of the place is called Chong Choon Cafe. When I reached there, the place was full packed and I had to wait for empty seat. 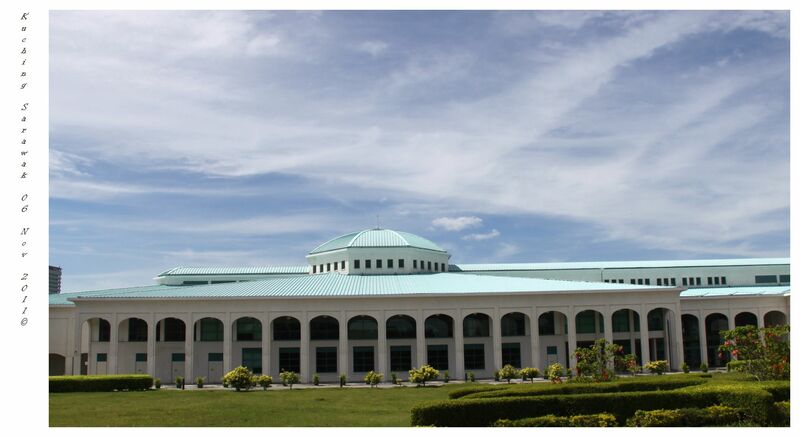 This is how the place look like from the inside. 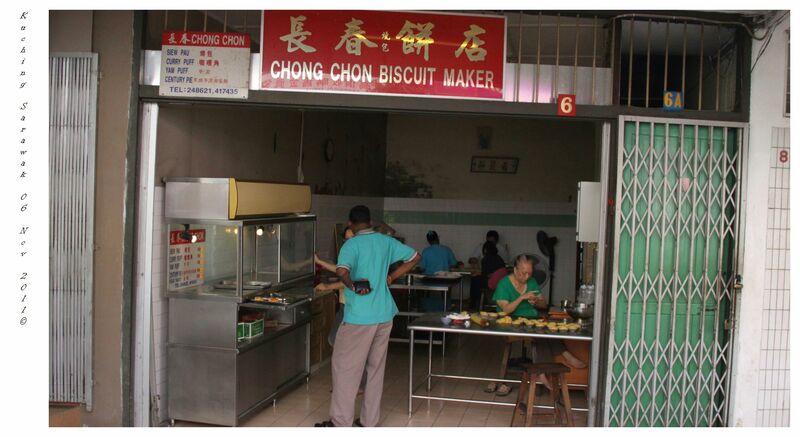 After finished breakfast, time to go jalan-jalan again..
Mr. Teo took me to Chong Chon Biscuit Maker, the lady in green is the owner. 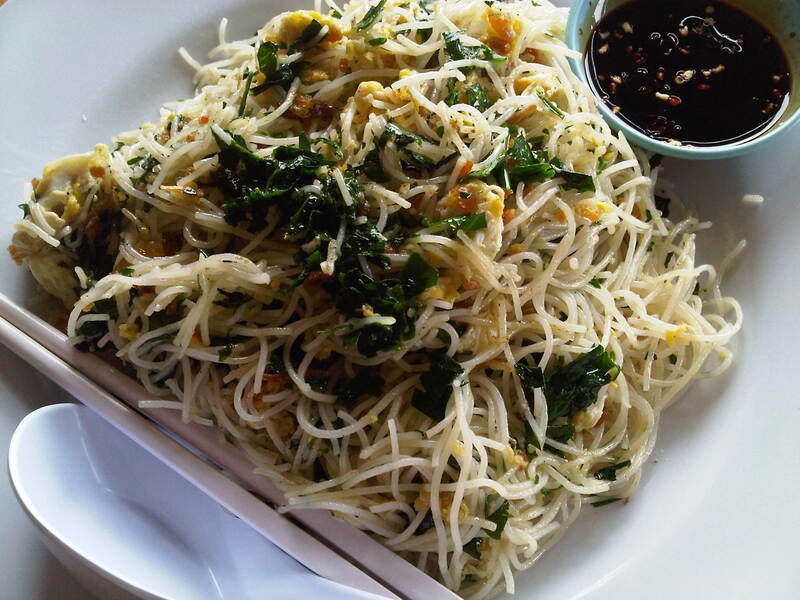 She told me Chong Chon Cafe (Laksa) belongs to her son. She looked like a little bit mix Mat Salleh.. 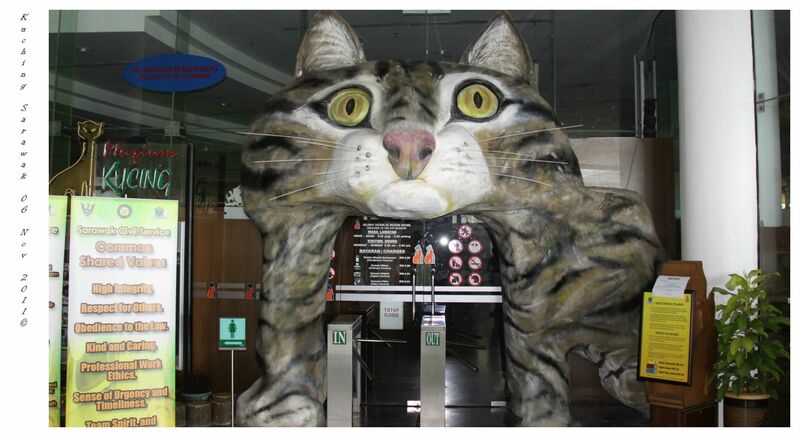 I bet she is really pretty when she was young..
After buying some biscuit, we went to Cat Museum which it was closed due to public holiday but managed to take a photo of it entrance. Even though it was closed, managed to take some good photos of it scenery. 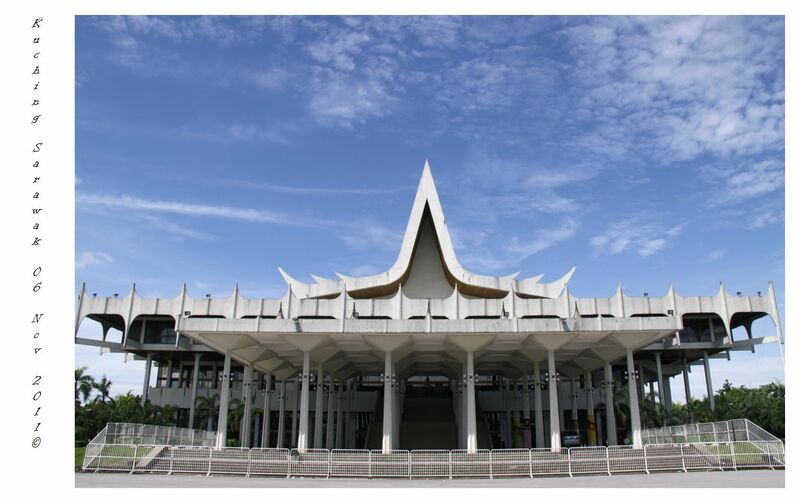 Dewan Bandaraya Sarawak Utara also located here. 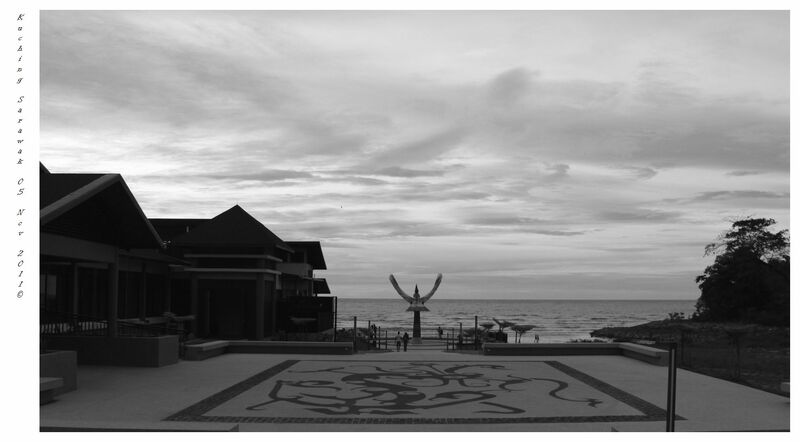 After finished taking photos at the Cat Museum, then Mr. Teo drove me to the Sarawak State library which it was also closed due to public holiday but able to take some scenery photos there too! 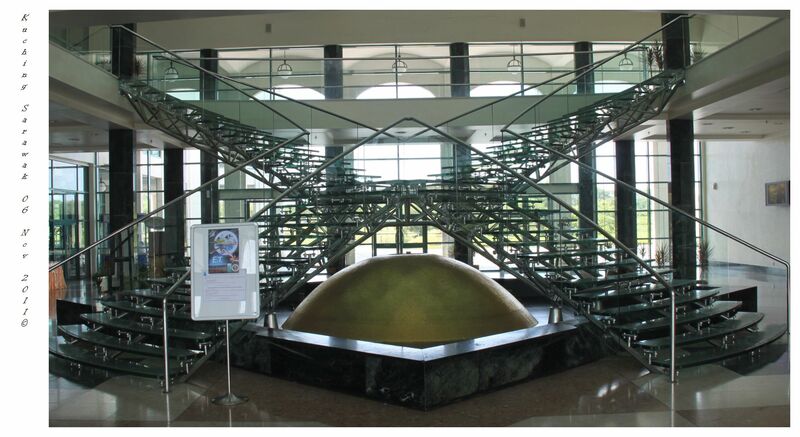 The Glass Staircase – Which located inside the library. 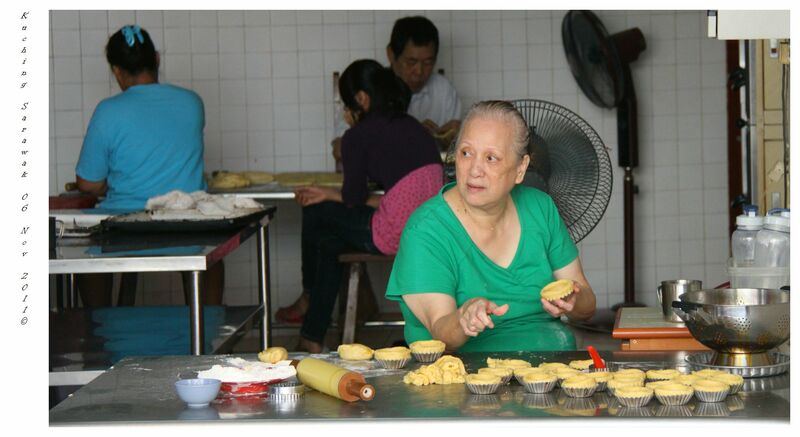 If you are in Sarawak, you must try their Kek Lapis (Layer Cake), it is like their national cake. I didn’t know about it until Mr. Teo told me. They have like 50 types of flavors. These two kids just know how to pose when I aimed my camera at them. So cute! Day three, woke up at 07.30am to get ready for my next tour. Reached the lobby at 08.00am and this time Mr. Dillon greeted me. He is actually the guy who sold me the tour package. So he asked me what you want to have for breakfast today? 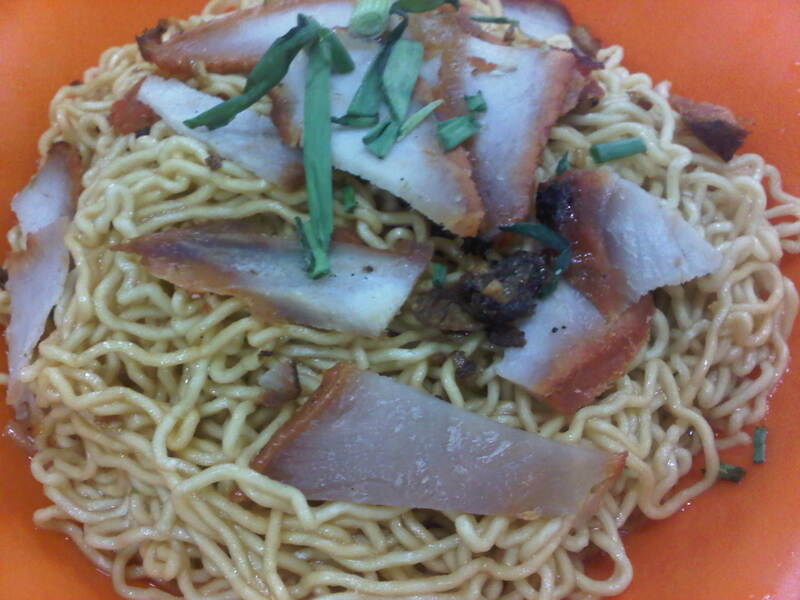 I told him I want to try kolo mee. Then he took his car key and drove me there (it was actually a walking distance away). While in the car he suggested that today I go jalan-jalan (tour) on my own (it was a Sunday), he told me that he will take me for the tour tomorrow and will sent me direct to the airport once the tour completed for free. Since I don’t have any planned, I told him ok. 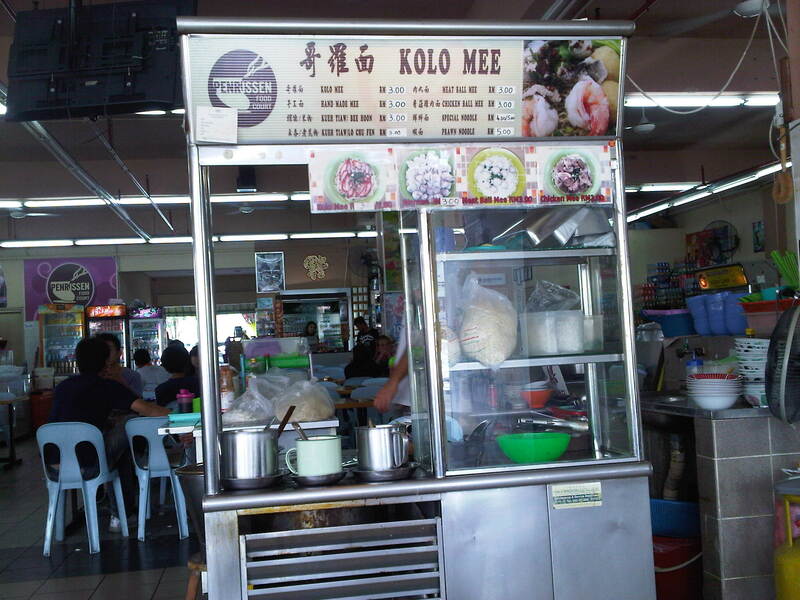 Here is the photo of the kolo mee, name of the place (I forgot!). Need to Google to reactivate my mind. Once I found it, I will post it in here. 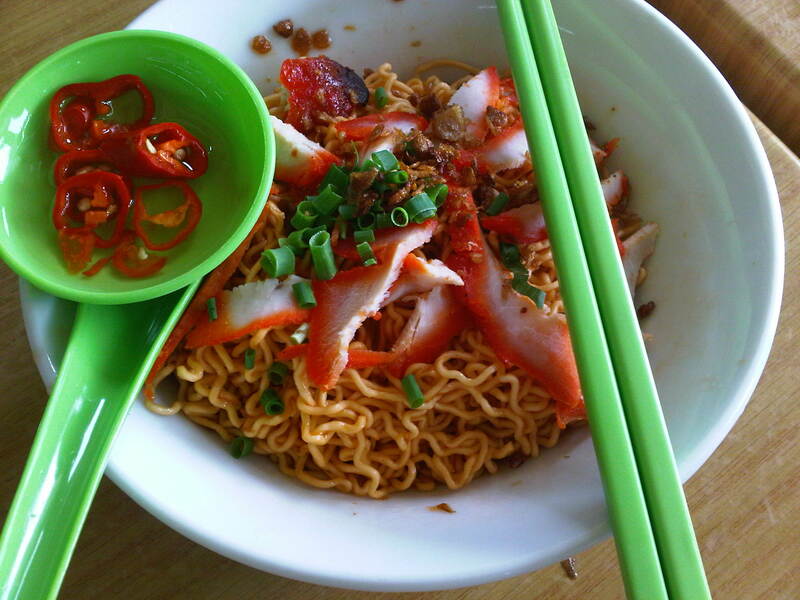 Well, the place is considered not bad as there were people queuing to try the kolo mee. 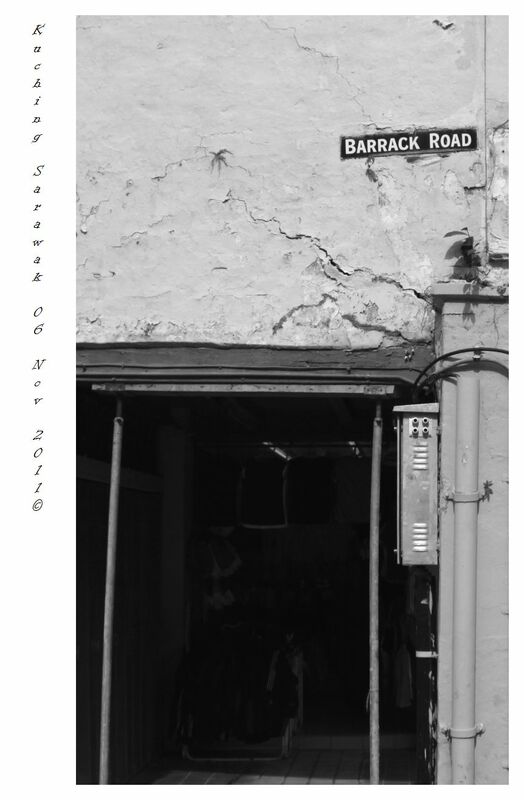 After finished my breakfast, I walked through the lane which the architecture was almost identical with Kampung Cina (China Town) in Kuala Terengganu, Terengganu. **Don’t know if this is where Barrack Obama got his name..?! 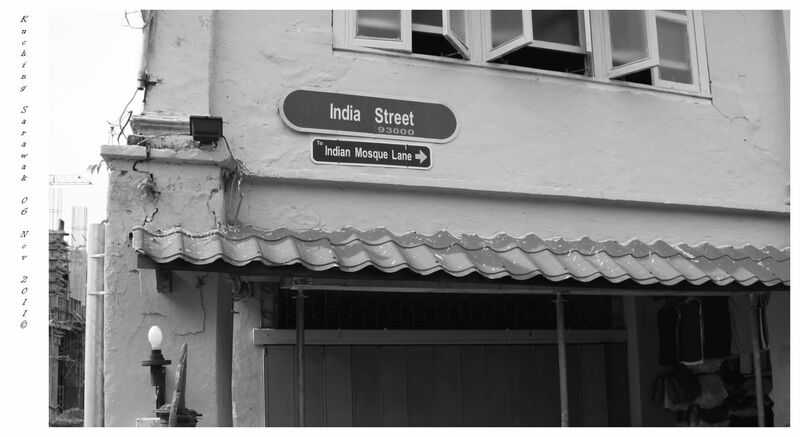 **India Street – Majority are Chinese..??!! 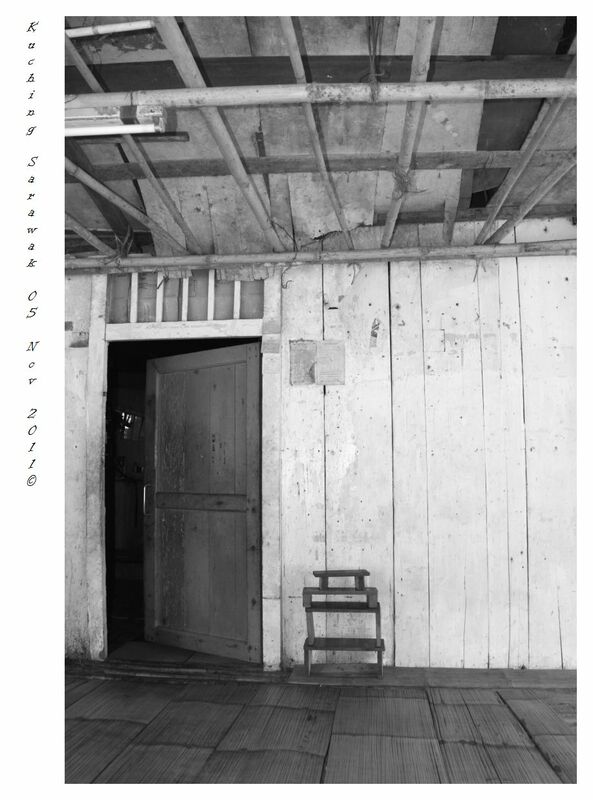 **Tay Hak Hak – I am not sure if the Hak Hak means Dark Dark if translate into English. Someone care to explain? 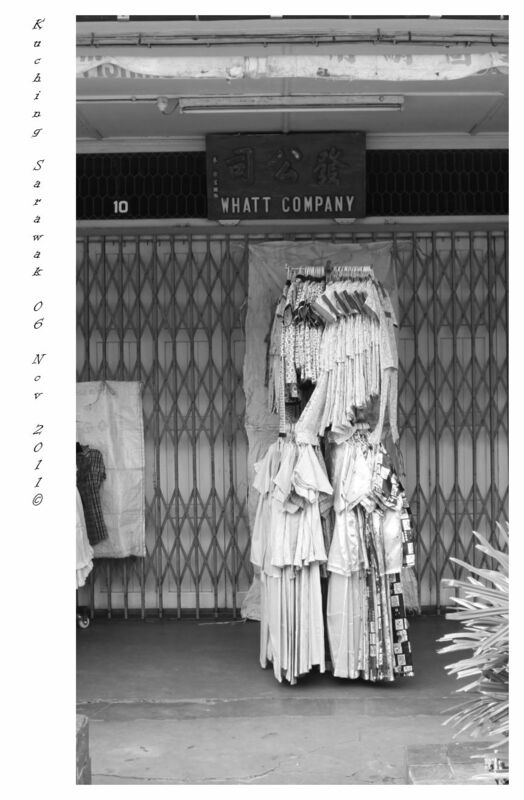 **Whatt Company – Seriously, I found this shop at India Street. No Photoshop. 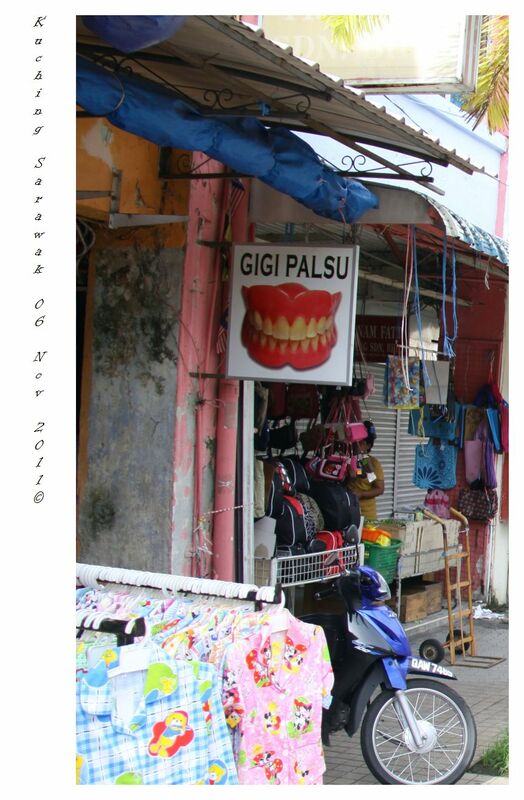 **Gigi Palsu – I found this sign but I can’t find the shop (dentist). 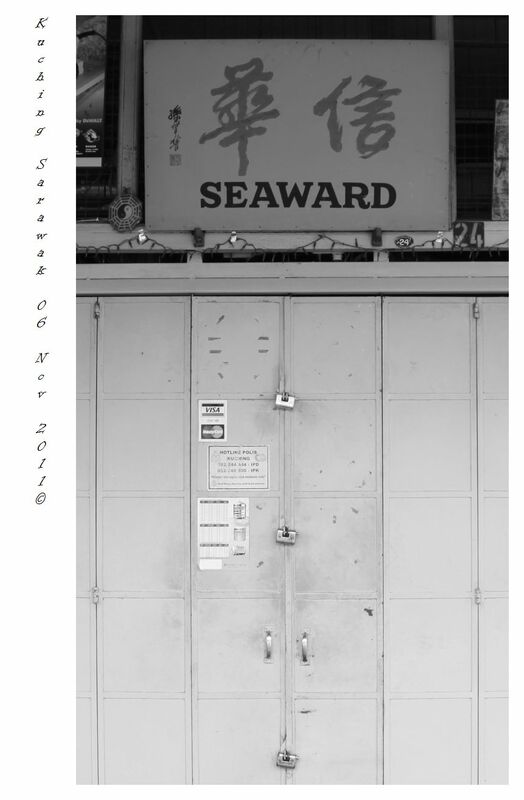 **Seaward – Interesting name, I wonder what is the Chinese name means? 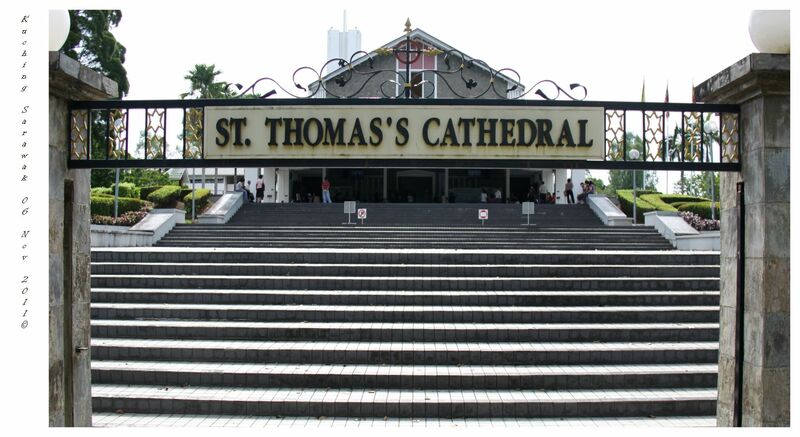 **It was Sunday, can hear the church are playing the organ (not sure the name of the instrument is correct or not) but it sure as loud as the Masjid (Mosque) during the prayers. Lovely! This is what I called a harmony race and religion. 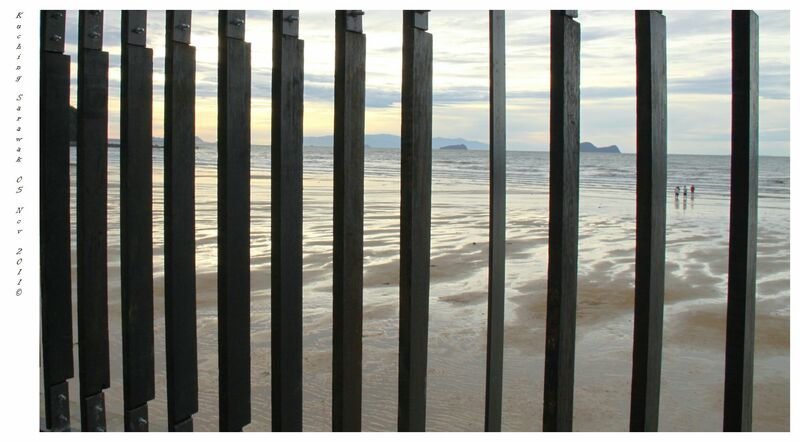 **Tip: Just a walking distance to the Museum. After finished lunch, I walked and reached the waterfront. It was a beautiful sunny day, took some photos and here are some of my favorites. 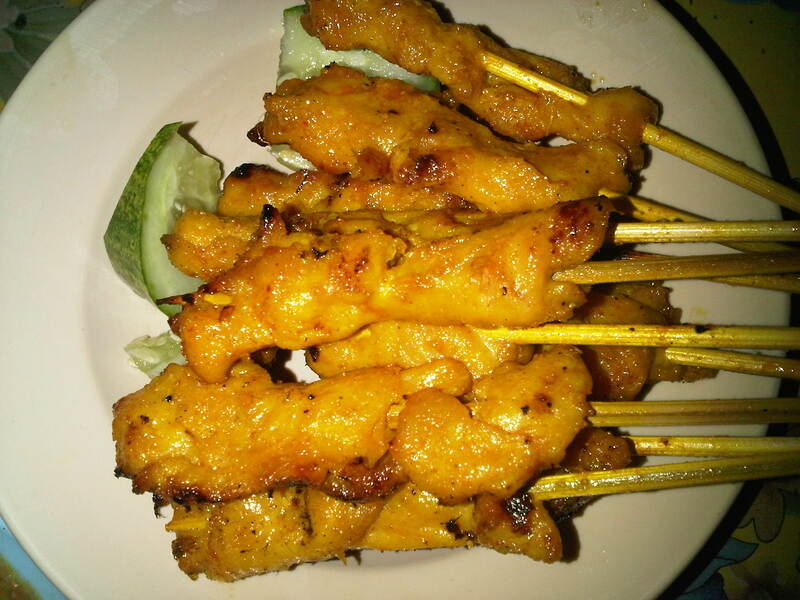 Dinner – Lamb Satay for appetizer. 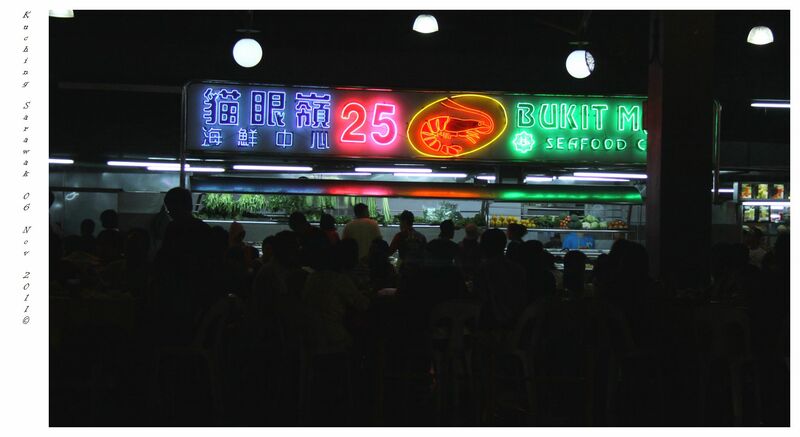 Had it at Top spot famous with seafood restaurants (Level 6), look for shop no. 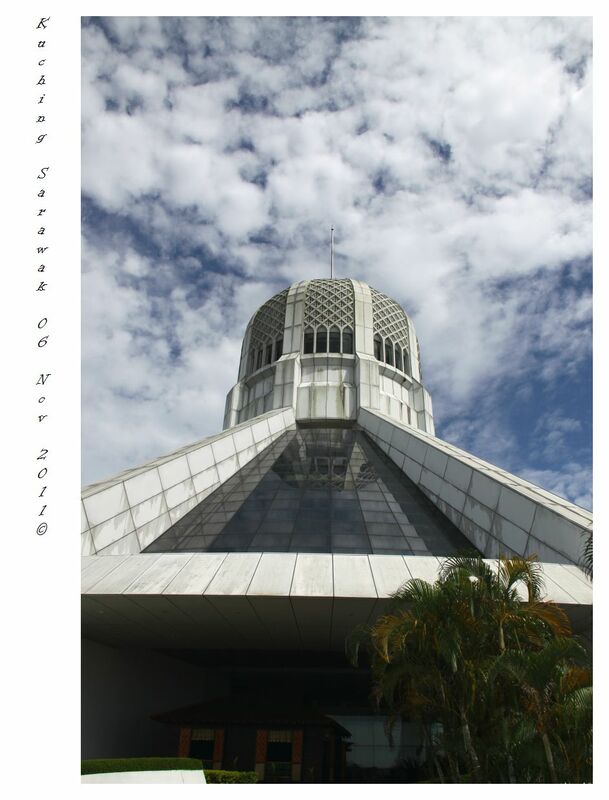 25 (Bukit Mata). 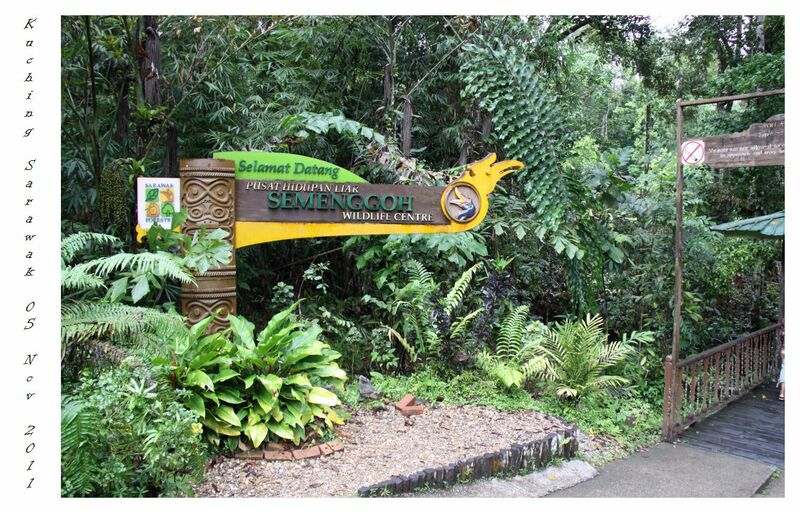 If you guys are in Kuching, Sarawak; these are the few places that you guys MUST GO! Here is the photo of the restaurant, you can see full with people who had made their reservation earlier and some of them are standing waiting for empty table. Didn’t managed to take the photos of main course which it was butter crabs (superb nice!). Starts drooling.. 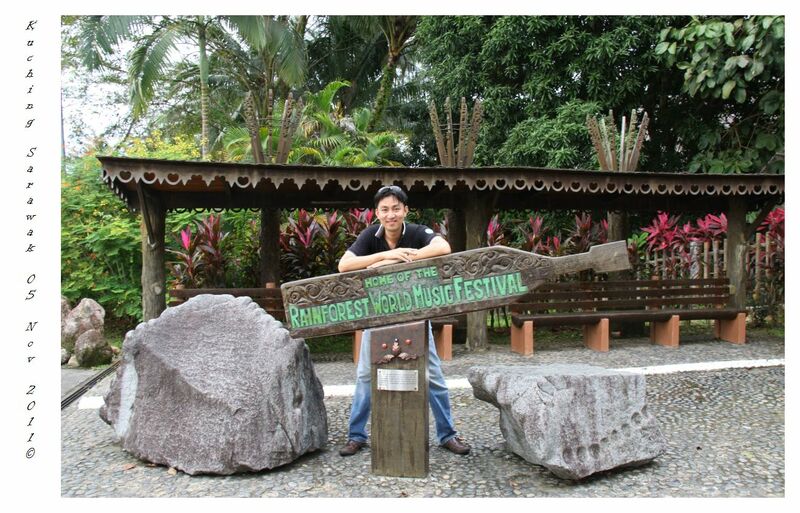 Continued from Destination: Kuching, Sarawak (Day 02) – Part 02..
Our next destination, Kampung Budaya Sarawak (Sarawak Culture .Village); Home of the Rainforest World Musical Festival. **Tip: If you take the tour package, the guide will help you to pay for the ticket. And ticket for locals are cheaper compare with outsider / foreigner. 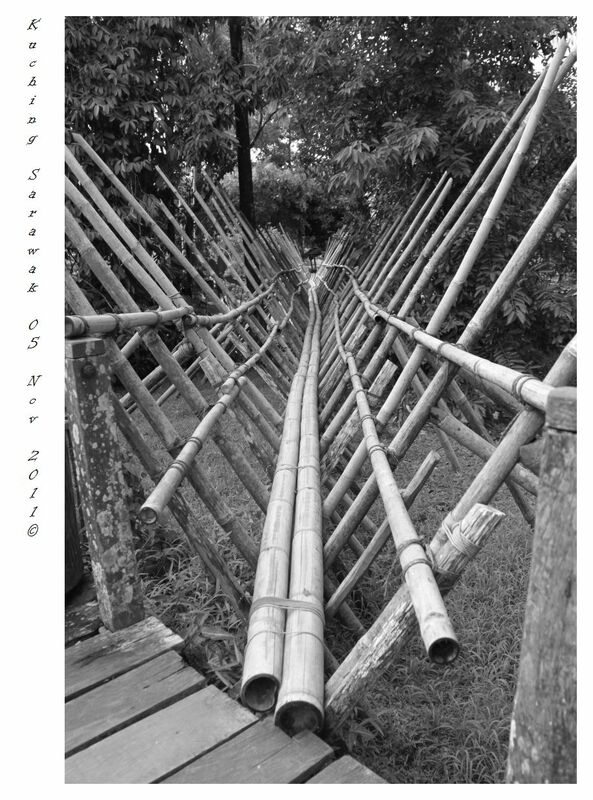 The bamboo bridges are once used by the orang asli (Aborigine) to cross over to the other side (river / mountain). But this is just a replica. 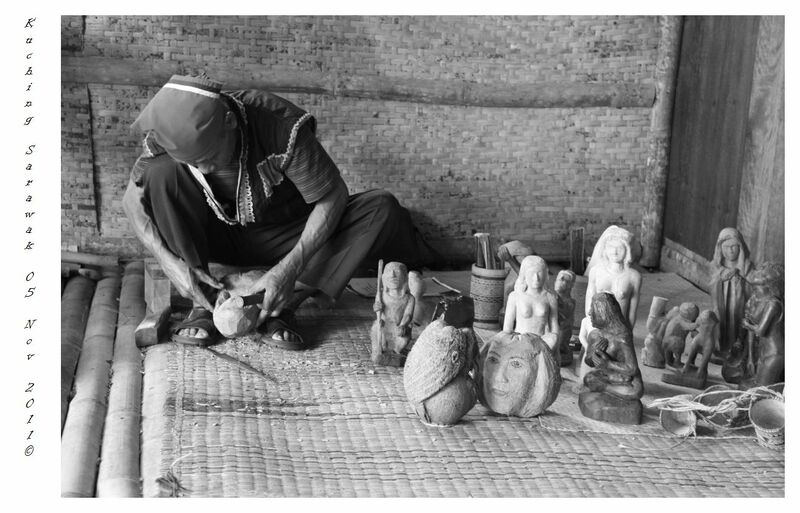 The artist used dry coconut to carve a figurine for sale. The shirts / jackets that you see behind the artist is actually made by a dry wood. 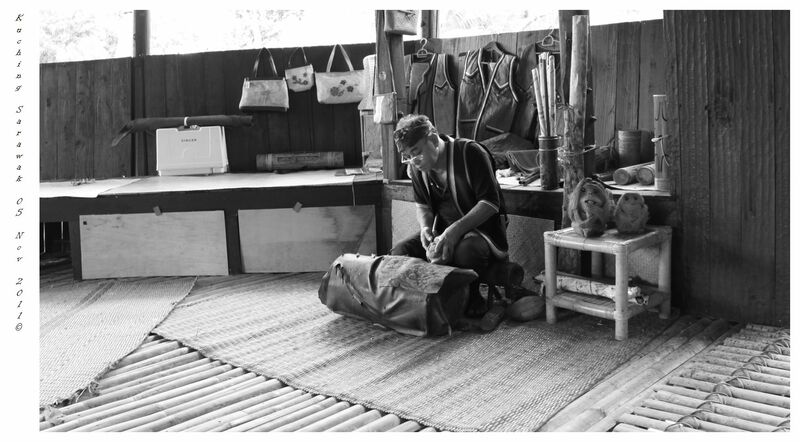 The artist used wood to carve a figurine for sale. 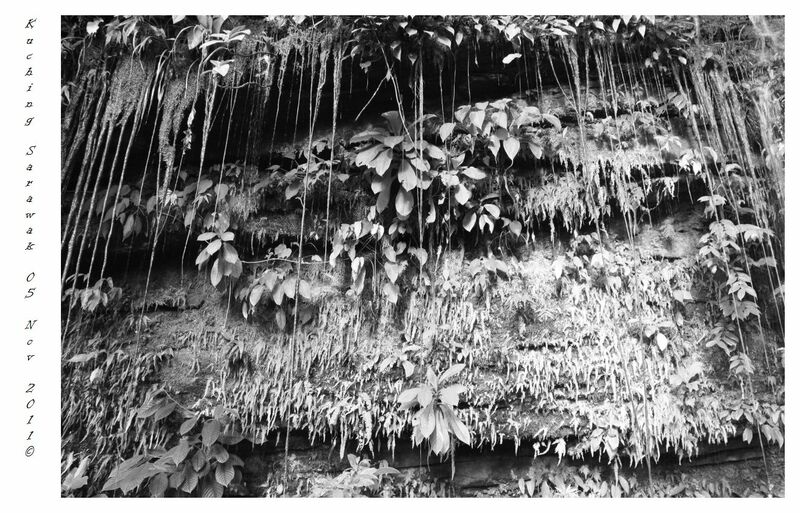 This picture was taken beside a waterfall (small ones). 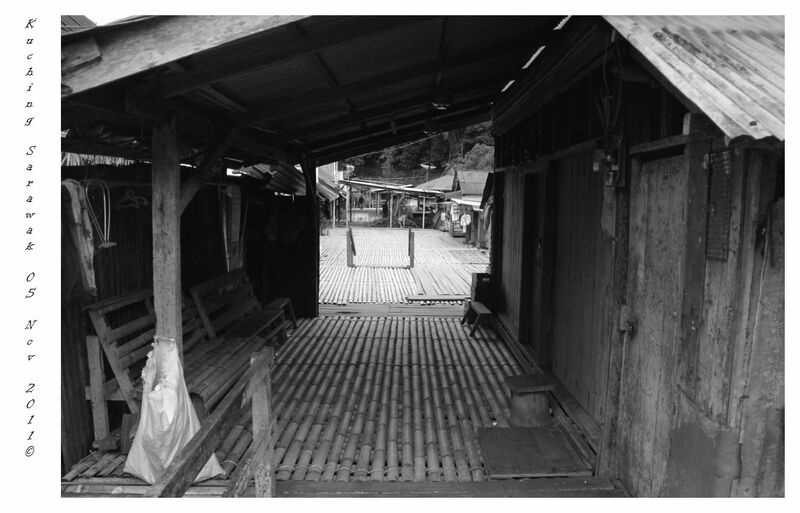 After finished with Sarawak Culture Village, we headed to opposite side which it is called “Damai Central”. 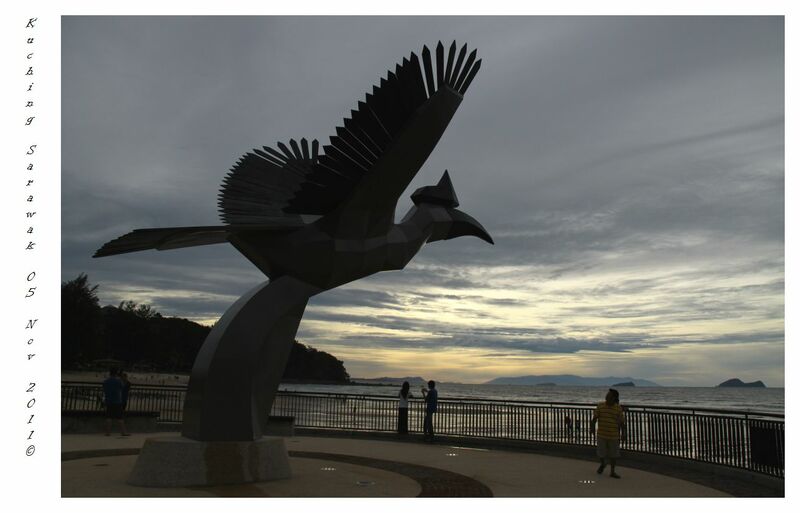 There, they have a nice beach (orange color sands) and a metal sculpture of Sarawak bird (Rhinoceros Hornbill). It was almost sunset when I took these pictures. After drooling photo shots, it was the end of tour. 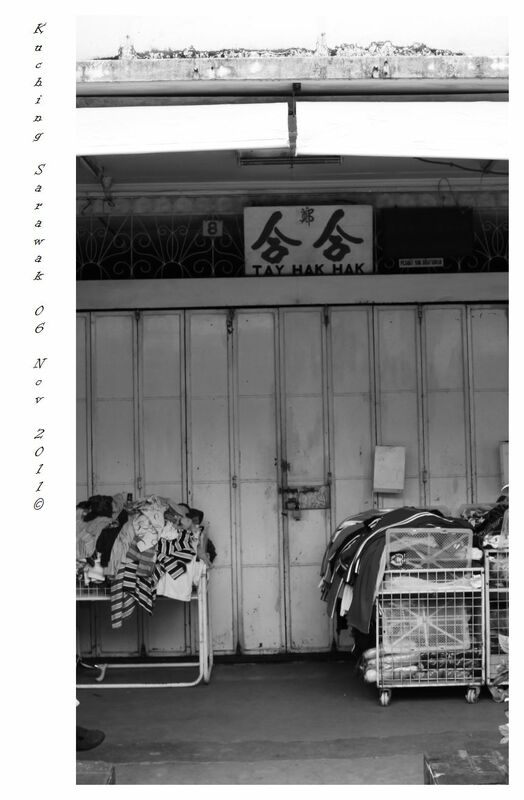 Later, I decided to go to Santok Weekend Market (Saturday and Sunday only) which it was not covered in the tour package but I managed to get Mr. Ho to send me there. And I took a cab back to the hotel which cost me RM15.00. Didn’t managed to take any photo there as I felt nothing special about the market but I managed to take the photo of foods. The foods are so-so only but I doubt about the hygiene as there were school of birds nesting nearby the area which you can hear the chipping sound and smell of the dropping. After a few walks around looking for a better place to have my dinner, I decided to sit down and eat because there was nothing special. 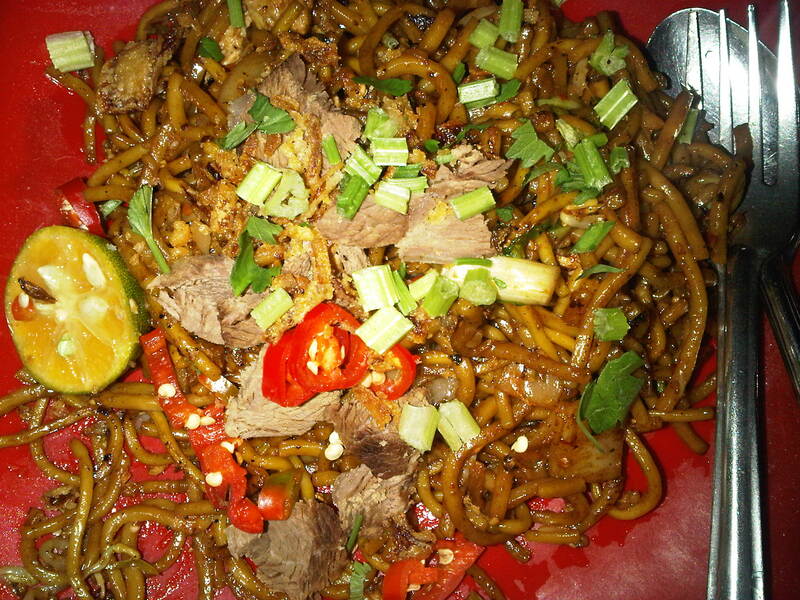 Before I took the cab back to the hotel, I had mee goreng (fried noodle) and satay. 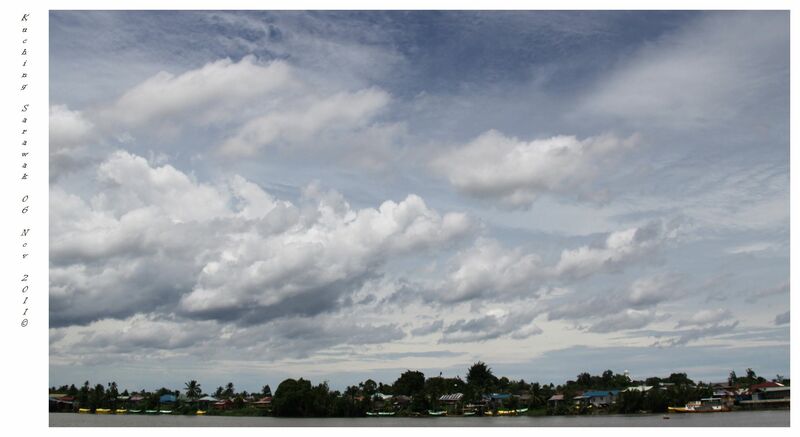 Don’t be deceived by the beauty of the photos. The taste were not as good as it looks. The best part of my day was when I was in the cab when the pakcik (uncle) driver asked me where I was from. He said thank you for coming to Sarawak and he hope to see me again next time. I told him Sarawak is a beautiful country and it is developing. Then he replied me “What is the use of development when the rakyat (people) are in difficulty?”. A very strong question which I was unable to answer to uncle but I wish him well and hope that soon all these will change. 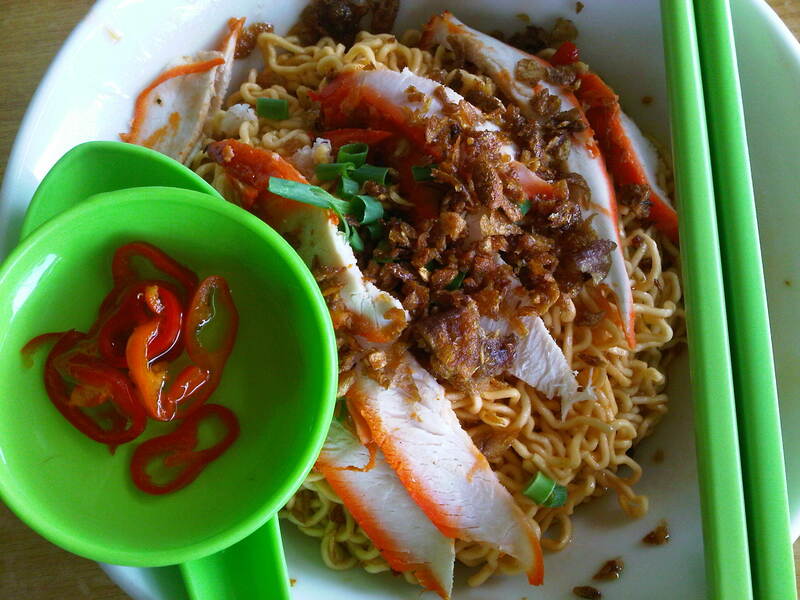 Continued from Destination: Kuching, Sarawak (Day 02) – Part 01..
One of the Taiwanese suggested to eat Kolo Mee (Dried Noodle), so Mr. Ho drives us to one of the food stalls and here are the results. 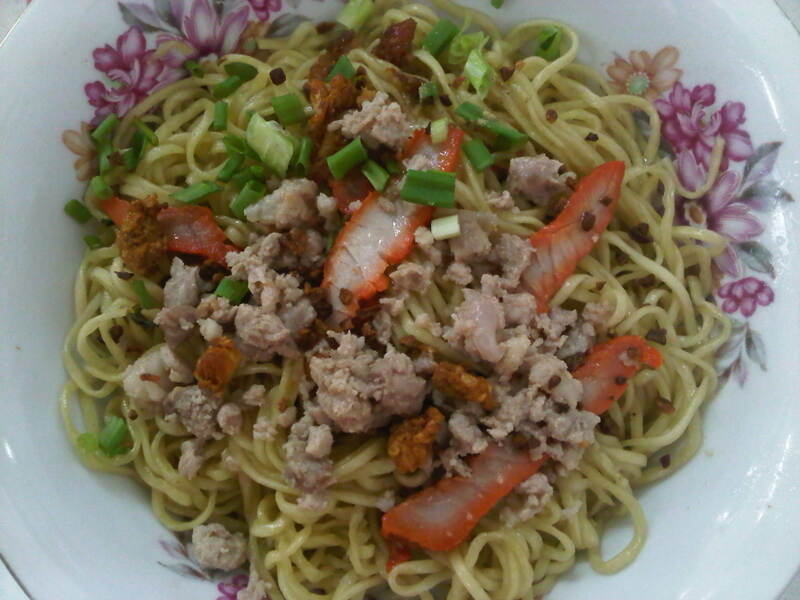 Fried Mee Hood with dried prawn and vege. 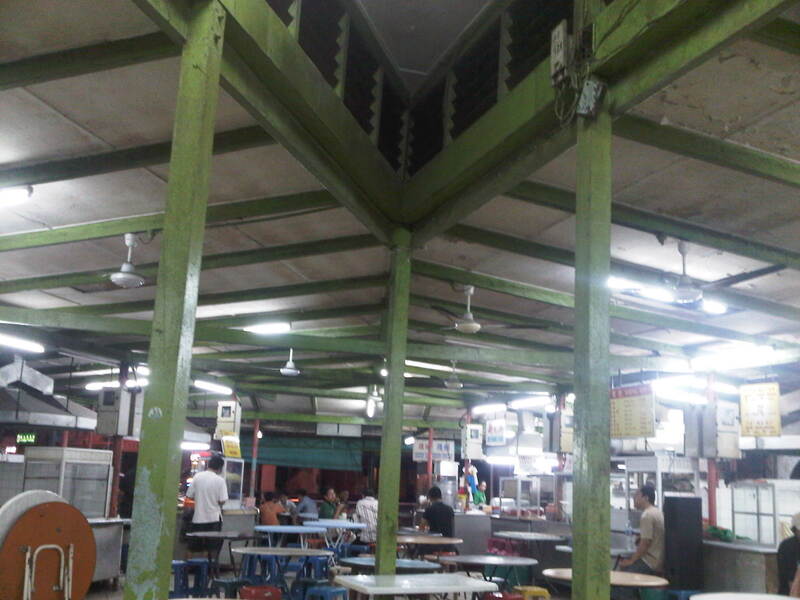 Luckily I managed to snap the photo of the stall with the name of the food court called Penrissen Food Court. **Additional info: Mr. Ho also told me that the placed also known as 4 1/2 miles. **This lady actually gave me a nice pose while I was aiming my camera at her. 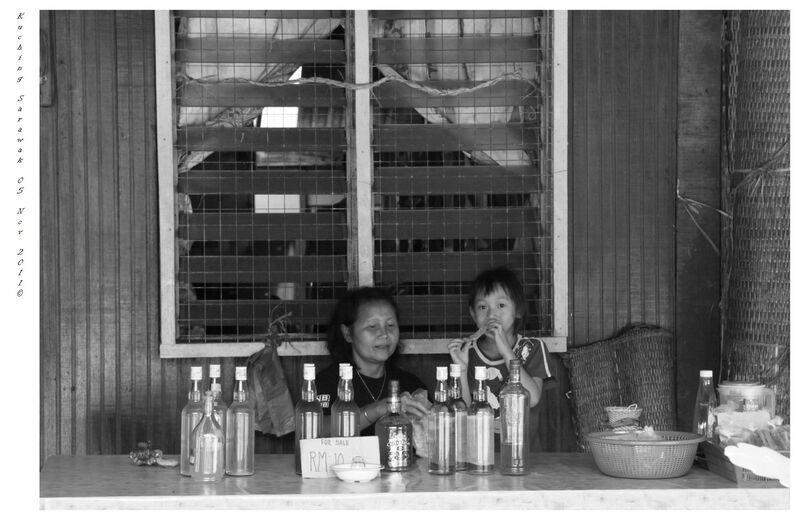 **The Liquor Lady was actually selling air tuak (a type of drink in Sarawak). 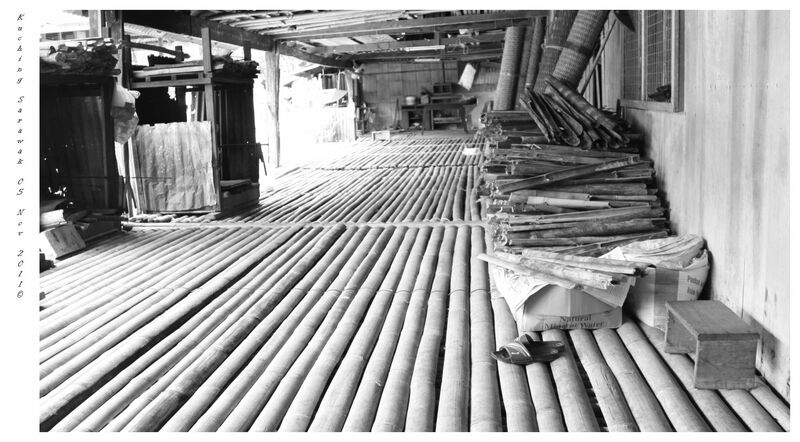 Air tuak in Sarawak is different from air tuak in Peninsula, so if you guys are there, please do try the air tuak there. Highly recommended! 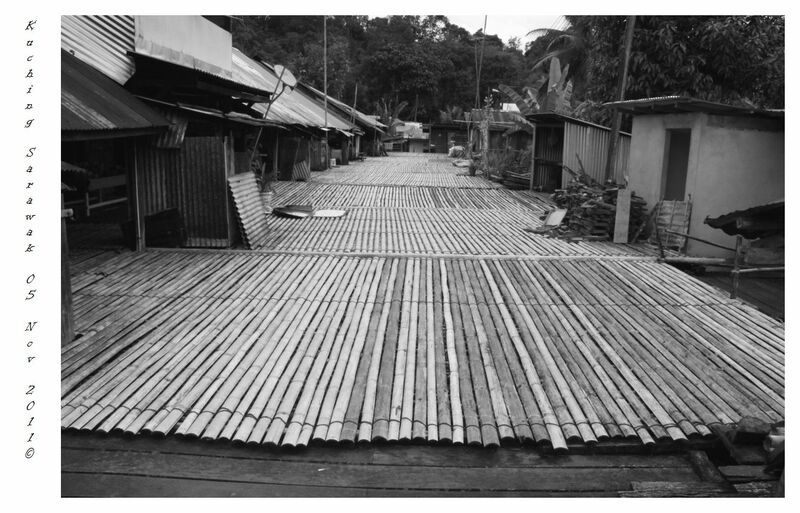 **Please be caution, air tuak are able to make you drunk. 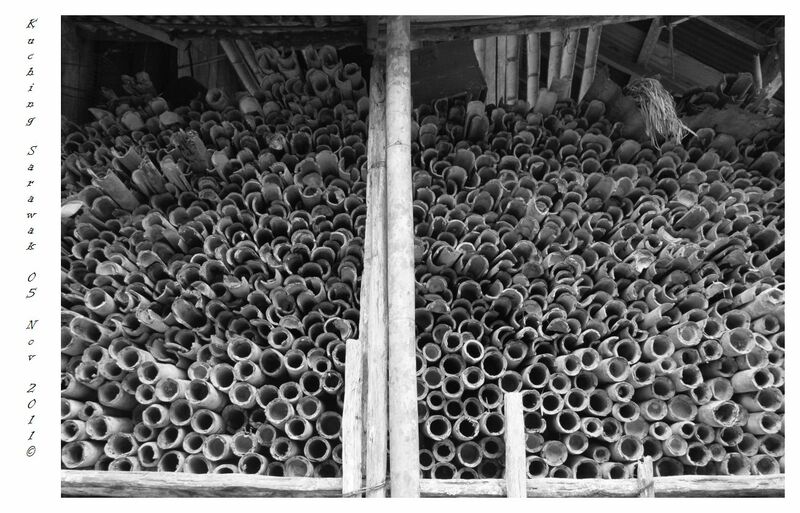 **The photo, you can see a small hut which it is actually their kitchen and the cut bamboo on your right is actually used as a burning materials. 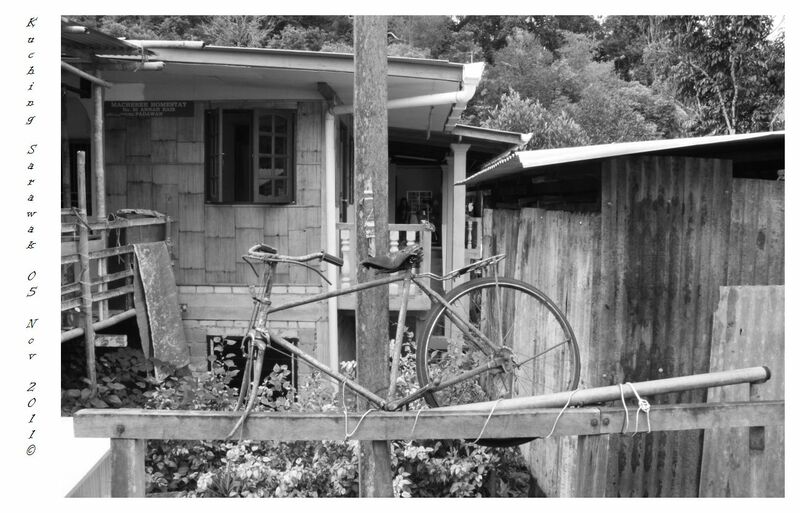 After finished tour on Bidayuh Long House, where is next?! 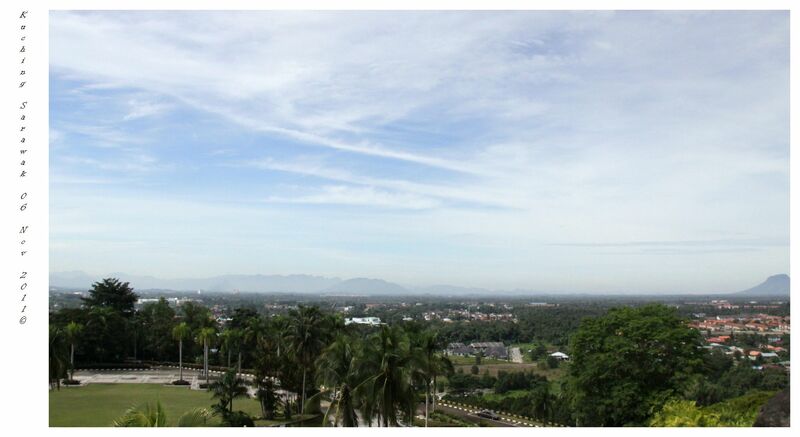 So second day in Kuching, Sarawak.. The sun was up and shining.. Look like it was going to be a good day for my shooting.. So far so good..
Woke up at 7.30am because I bought a tour package promo for 2 days tour which only cost RM134 (RM67 per day). Reached the lobby at 8.00am, Mr. Ho (the travel guide) asked me, “Have you taken your breakfast?”. “Can you bring me to eat Kueh Chap?” I requested. 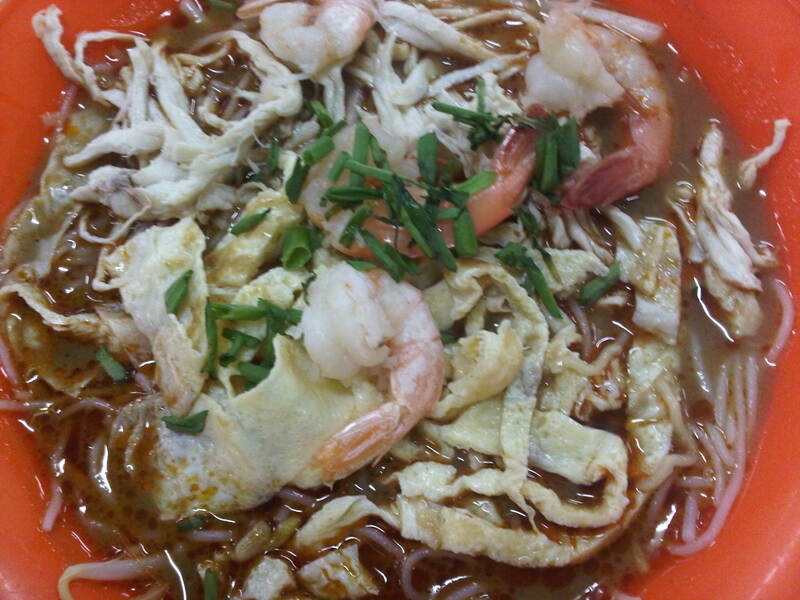 After Google what is nice to eat in Sarawak. 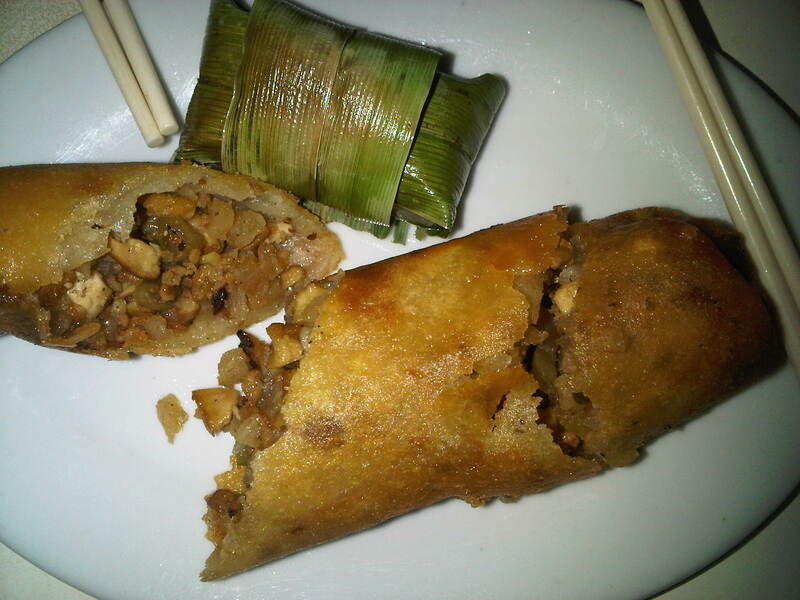 Kueh-Chap is one of the must try food in Sarawak. Some friends told me you can find it in Singapore but not in Peninsular. 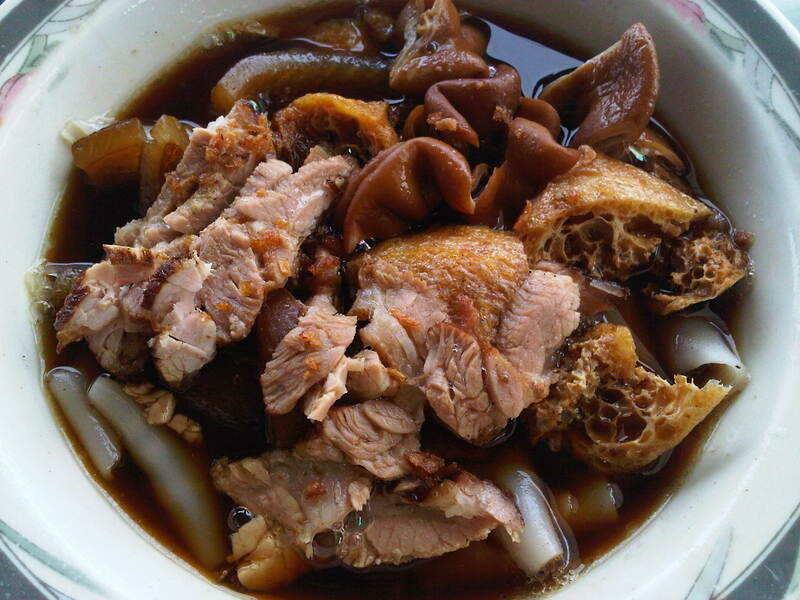 Some even said it taste like ba-kut-teh (BKT) in Klang. 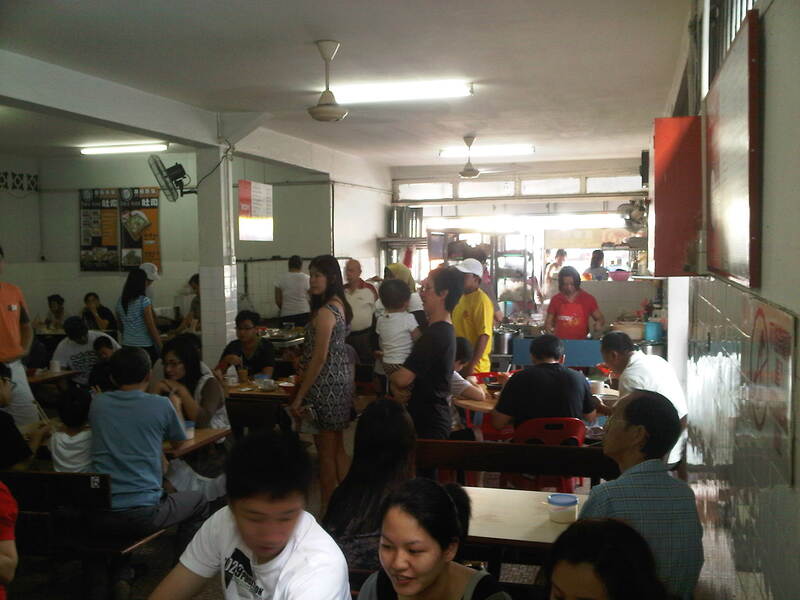 So Mr. Ho took us to kueh-chap place which it was only a walking distance away. 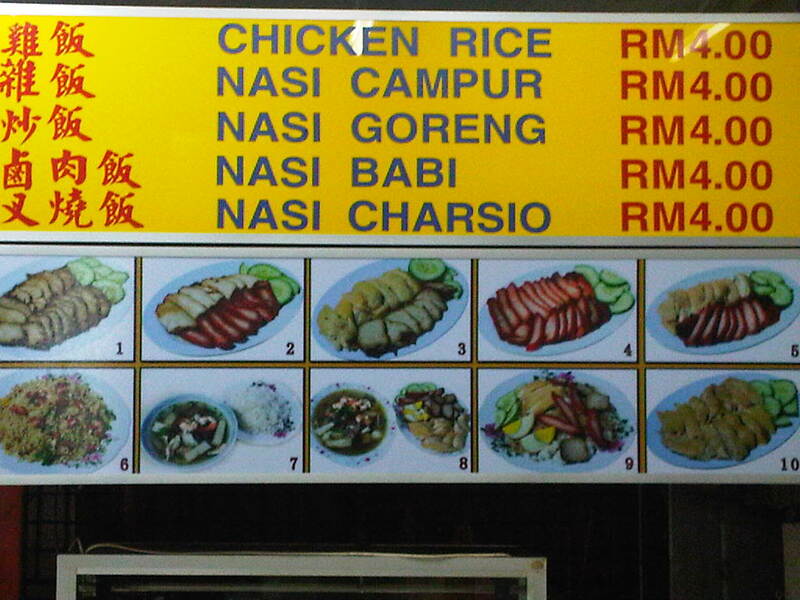 For those who like to eat other part of pork beside the meat, you guys can try it.. truly recommended. 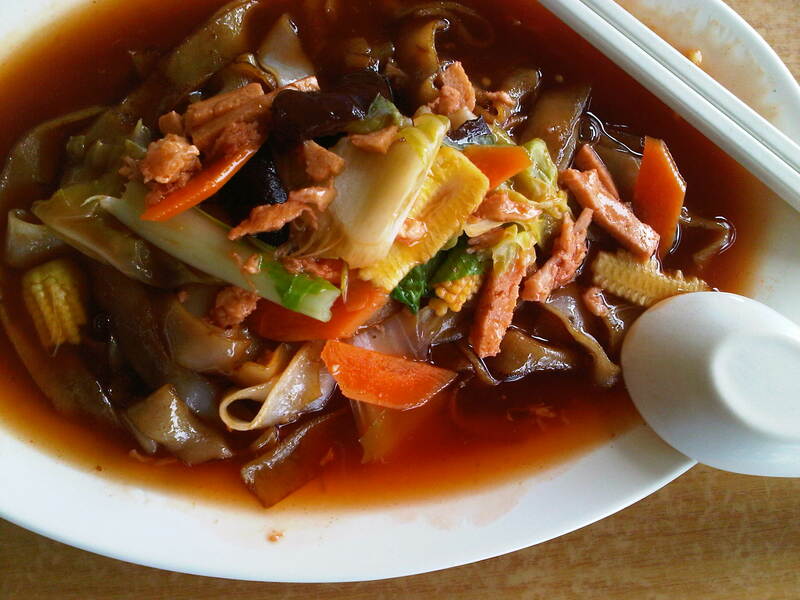 After the dish arrived and tried it, I concluded that it was like kueh-teow dark soup (indeed it taste a little bit like BKT) but the soup was not as thick as BKT. I managed to finished it even I am not the type who like to eat spare-parts! 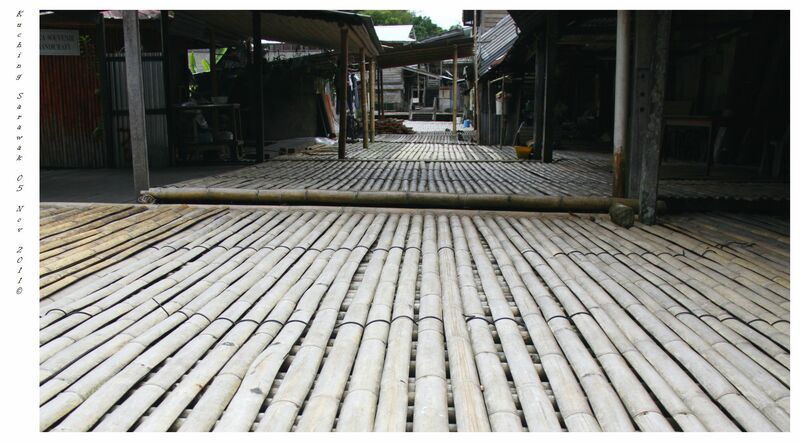 After finished up the Kueh-Cap, Mr. Ho came and picked me up from the stall and we were headed to orangutan sanctuary. It took about an hour ride. In the van, I made friends with two Taiwanese who are working in Singapore and one Seremban, Malaysian who are with them. They were all very friendly even I spoke in ‘banana‘ Mandarin (Not fluent in Mandarin). 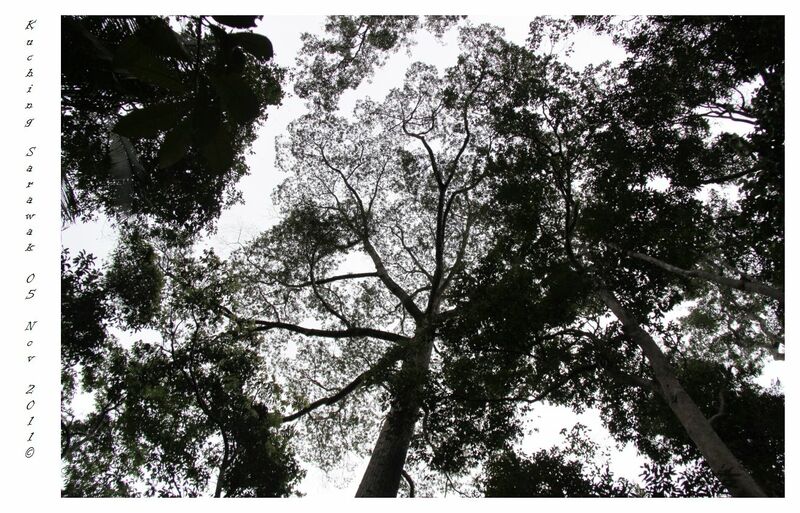 We were there on time and manage to see three orangutans on top of the tree. Managed to take some photos but it was not up to my spec. Therefore, I don’t want to post it in here. 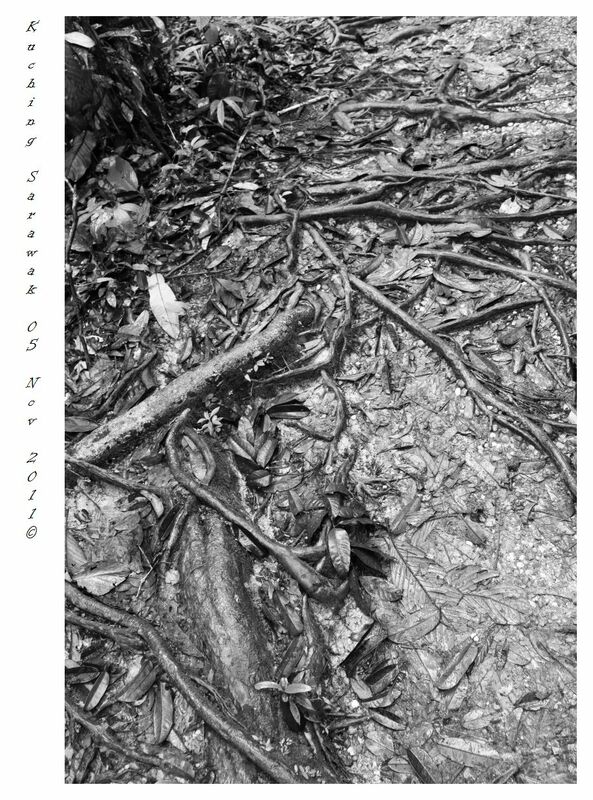 Managed to shoot some artistic scene which I titled it “Roots” while walking towards to see orangutan. Another shot was taken when I looked up to look for orangutan and felt that an umbrella was covering us from the hot sunny sun. 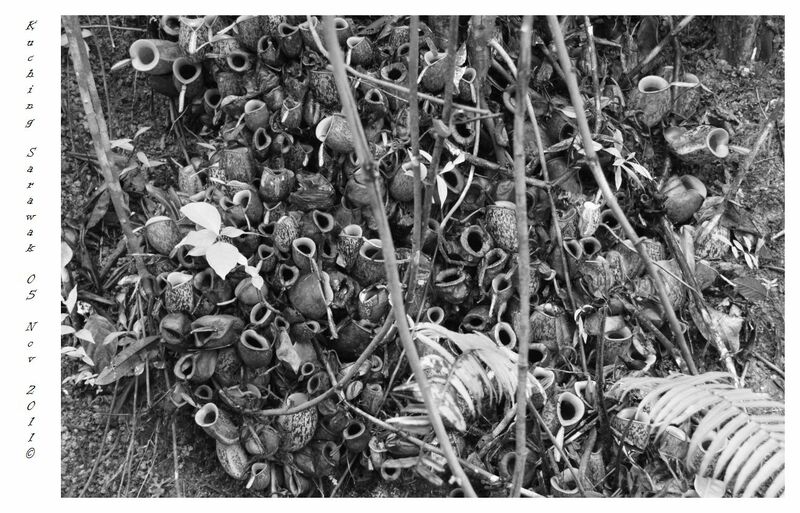 Found these plant on the way to the toilet, a bunch of Periuk Kera (Please Google for its scientific name, direct translation is called Monkey’s Pan) grows side by side which it looks like some alien eggs growing and straight reminds me of the movie “Aliens”. 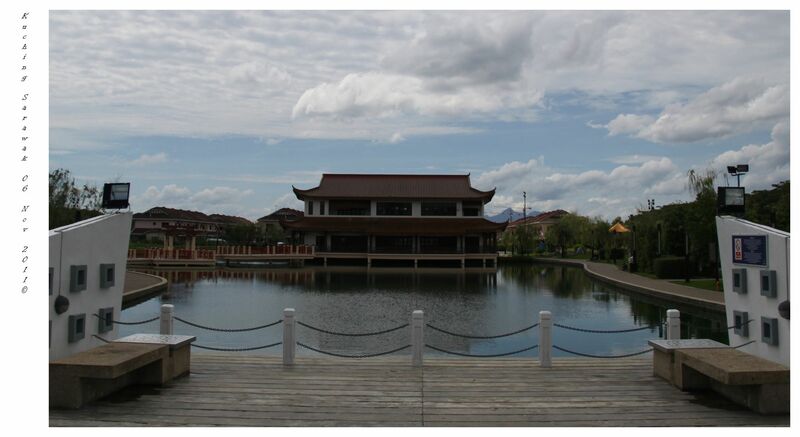 After the visit, all of us felt hungry and demanded Mr. Ho to bring us to a nice place for lunch. I just recently came back from a short break before I starting a new chapter in my life. 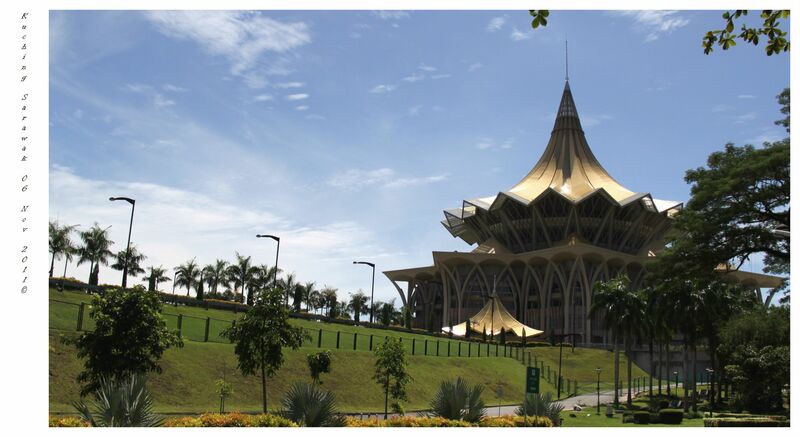 The location that I decided to go was Kuching, Sarawak , Malaysia. At first, I was a little bit skeptical about going there as I thought it would be a boring place! How good can it be?! Most of the youngster there wanted to get out from it. 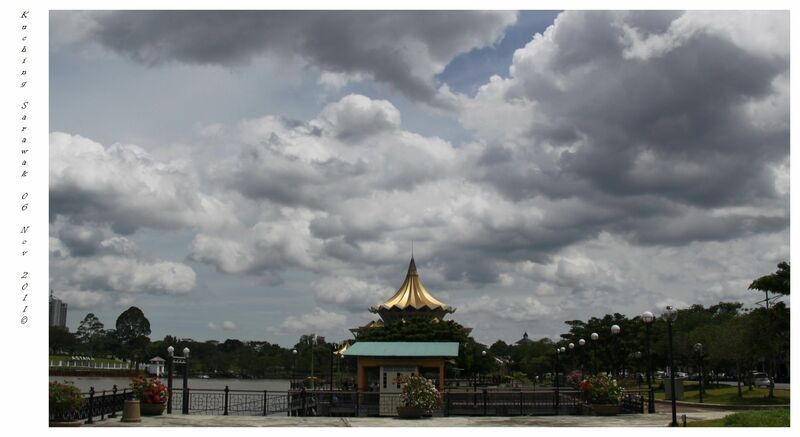 What do they have in Kuching, Sarawak..??!! 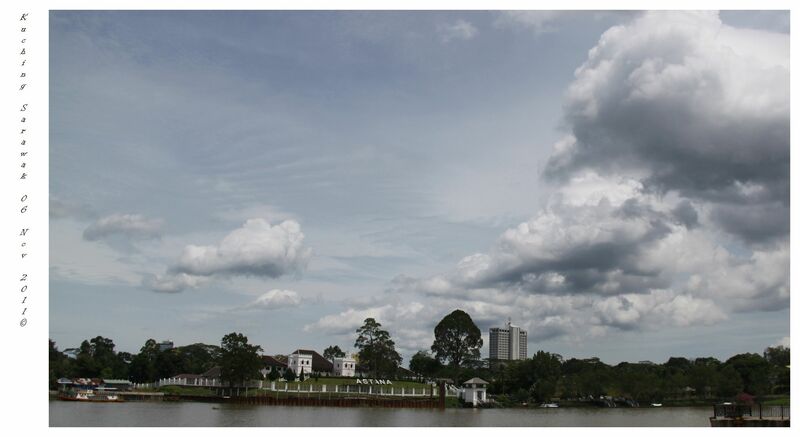 But since I was going there for a short business trip there, I thought I might as well take the opportunity to know more about Kuching, Sarawak in real life. The flight from LCCT to Kuching International Airport took about 01 hour 30 minutes. They only got cab to town, the journey took about 10 – 20 minutes pending on the traffic, I was staying at the itune hotel (opposite Hilton). It was raining that day. Once I reached the hotel, check-in and the first thing that came across my mind is food! Where can I find food? So, I asked the receptionist where can I find a nice Sarawak food, then she briefly pointed out the direction and I decided to take a walk there.. 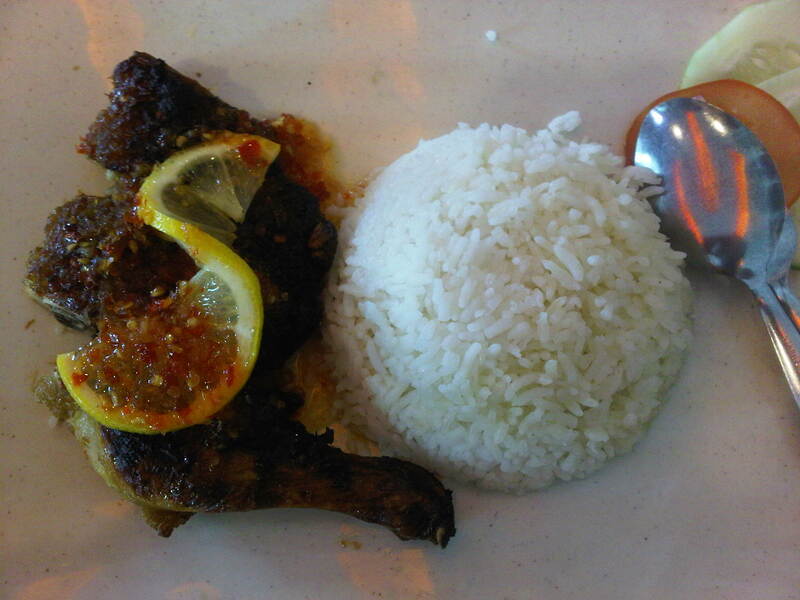 So this was my first meal in Kuching, Sarawak.. Funny Sign.. While I was having my dinner, I saw something that I think I would only find it Sarawak.. direct translation of Nasi Babi (Pork Rice) which you can’t find it in Peninsular.. 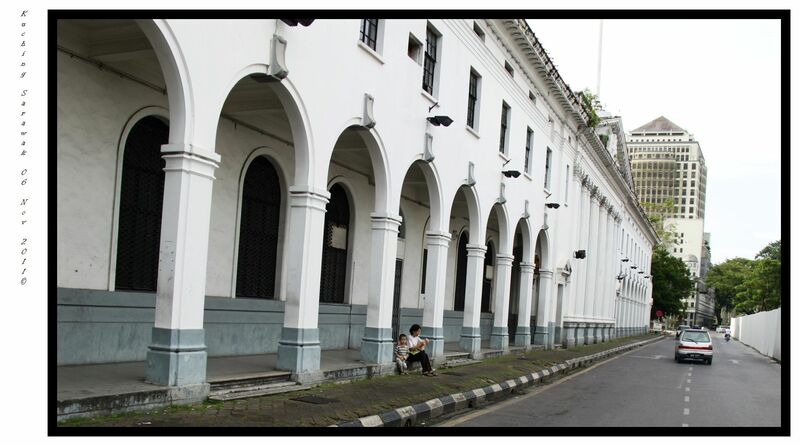 Architecture of the building brought me back to time. 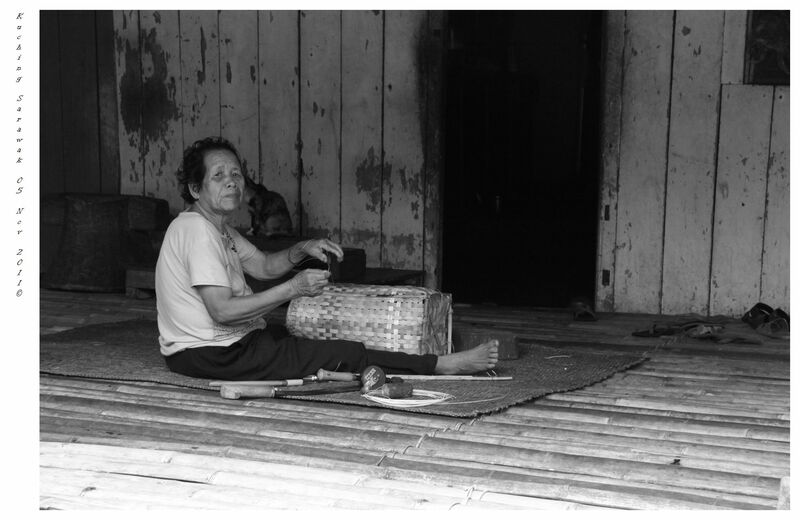 It reminds me the time my grandfather used to bring my sister and I for breakfast at pasar (market). Please do feel free to get shocked when you saw rat crawling their way from left to right. After finished at the stall, I decided to take another route back to the hotel. 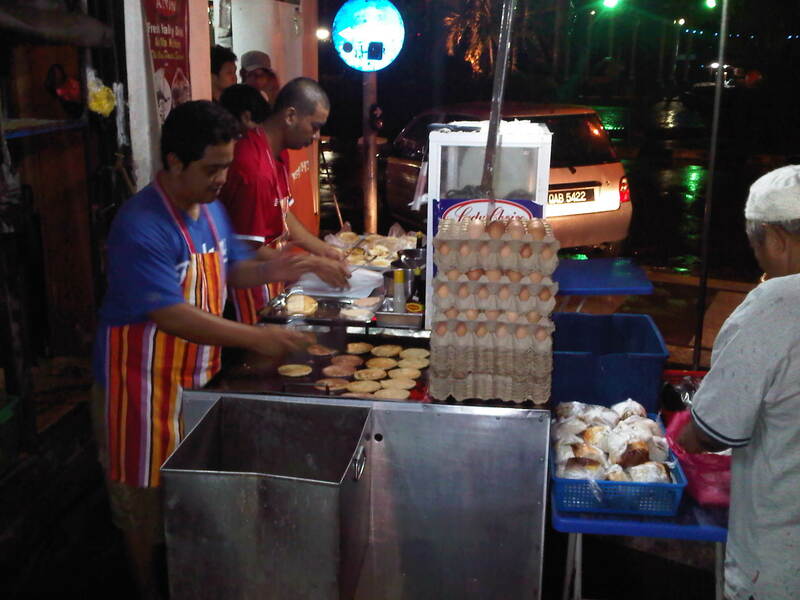 While I was walking, I saw a burger stall and decided to try out Sarawak burger. The owner asked me if I wanted a thin or thick burger. 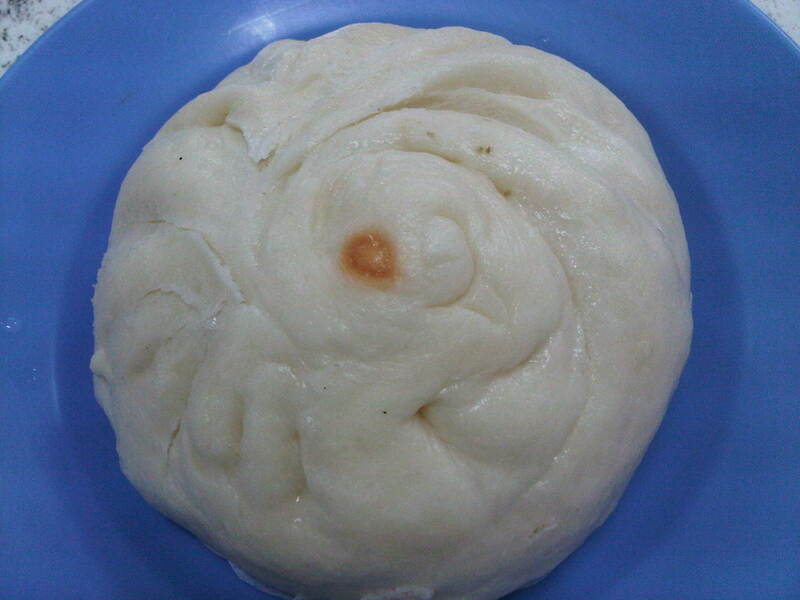 Thin = Made in Sarawak burger. Thick = Ramly burger. I told him, I don’t want Ramly burger, I have Ramly burger in KL! Give me Sarawak burger. 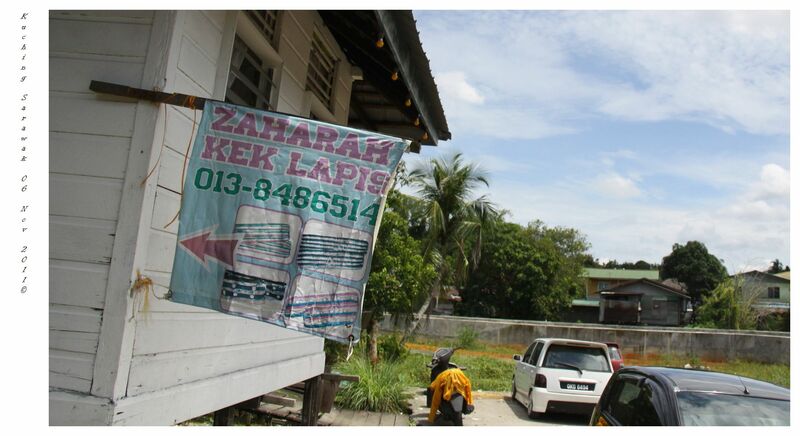 While I was waiting for the burger, I saw one Pakcik (Uncle) came out from the Kancil car with a big bag plastic. I wonder what could that be..??!! Then he placed the big back plastic on the table (on the right side of the picture). 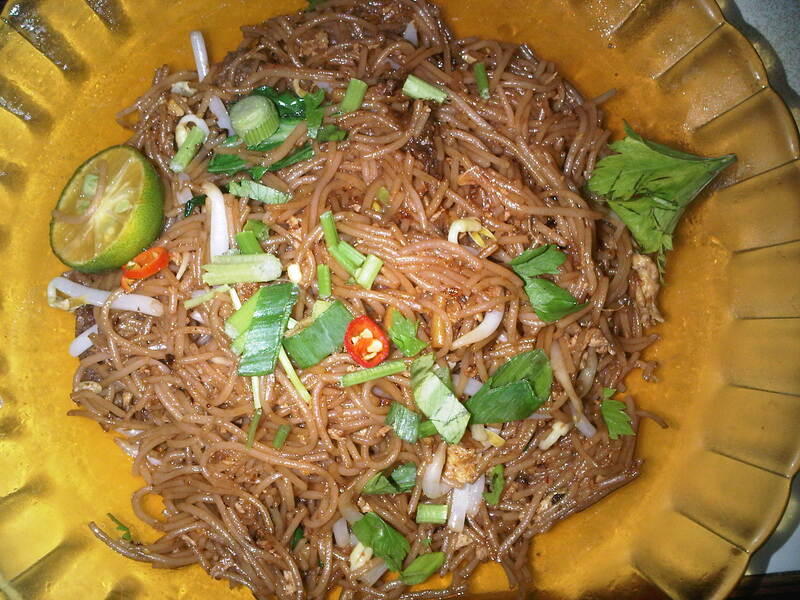 Oh, actually the uncle was selling Nasi Lemak (Rice) and Mee-Hoon goreng (fried). Then I was impressed that there was actually a man waswaiting for the Nasi Lemak to arrived. It was too tempting and hard to resist, I decided to “hantam” the nasi lemak and mee-hoon goreng too! Boy, I was fulled that night! That night I was happily asleep until the next morning.. ZzzZzzZzz..